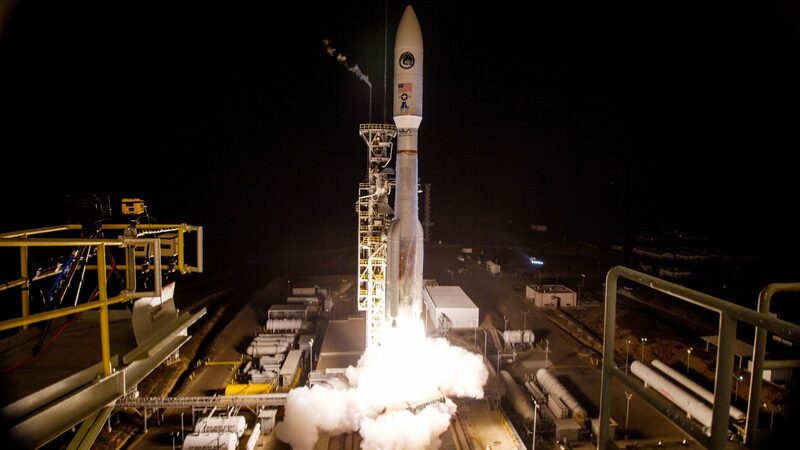 VANDENBERG AIR FORCE BASE, Calif. — A United Launch Alliance (ULA) Atlas V 541 rocket has successfully lifted off from Launch Complex 3 at the Vandenberg Air Force Base in California to deliver a classified satellite into orbit for the National Reconnaissance Office (NRO). 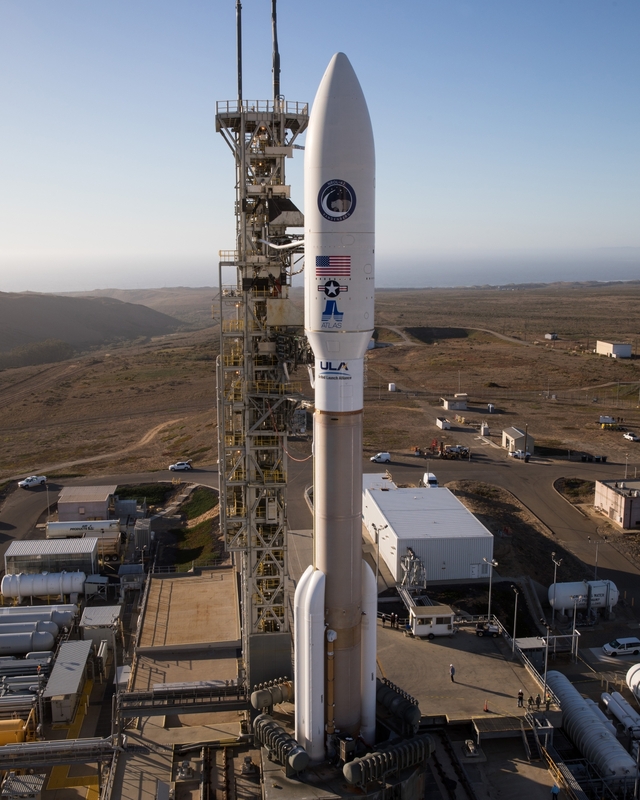 In spite of only a 60 percent chance of favorable weather conditions, at T-minus zero, the conditions were acceptable and the NROL-42 launch occurred on schedule. Producing some 2.4 million pounds-force (10,580 kN) of thrust at liftoff, the Atlas V rocket lit up the night sky over California as it sped away from the launch pad at 10:49 p.m. PDT on September 23 (1:49 a.m. EDT / 05:49 GMT Sept. 24), 2017. The four Aerojet Rocketdyne AJ-60A solid rocket boosters (SRBs), along with the core stage’s single Russian-built RD-180 engine, accelerated the vehicle to Mach 1 in just 34 seconds. The four SRBs contributed a combined thrust of 1.5 million pounds-force (6,672 kN) to the rocket’s first stage RD-180 engine thrust of 860,300 pounds-force (3,827 kN). In a recently issued press release, Aerojet Rocketdyne CEO and President Eileen Drake said: “We’re delighted to continue providing propulsion systems in support of our warfighters, at home and overseas. At 47 seconds into the flight, the vehicle reached Max-Q – the point at which aerodynamic stress on a vehicle in atmospheric flight is maximized. Having completed their work, the SRBs burned out 1 minute and 34 seconds into the flight; the first two SRBs were jettisoned 13 seconds later, with the second pair just one-and-a-half seconds after that. The first stage’s single RD-180 engine, burning through its supply of rocket grade kerosene (RP-1) and liquid oxygen (LOX) at a rate of some 2,320 pounds (1,052 kg) per second, continued to push the vehicle away from its home planet. Three minutes, twenty-four seconds into the flight, with the vehicle over seventy-five miles high and one-hundred and thirty-five miles downrange, and traveling over 8,000 miles per hour (12,875 km/h), the payload fairing jettisoned, thereby exposing the payload to space. The atmosphere is so thin at this altitude that it posed no danger to the spacecraft. About 6 seconds following main engine cutoff (MECO), the second stage separated and fired its single Aerojet Rocketdyne RL-10C-1 engine, producing 22,890 pounds-force (102 kN) of thrust and propelling the spacecraft into its 63 degrees inclination orbit. As is customary with NRO launches, the launch coverage ended before completion of the flight. 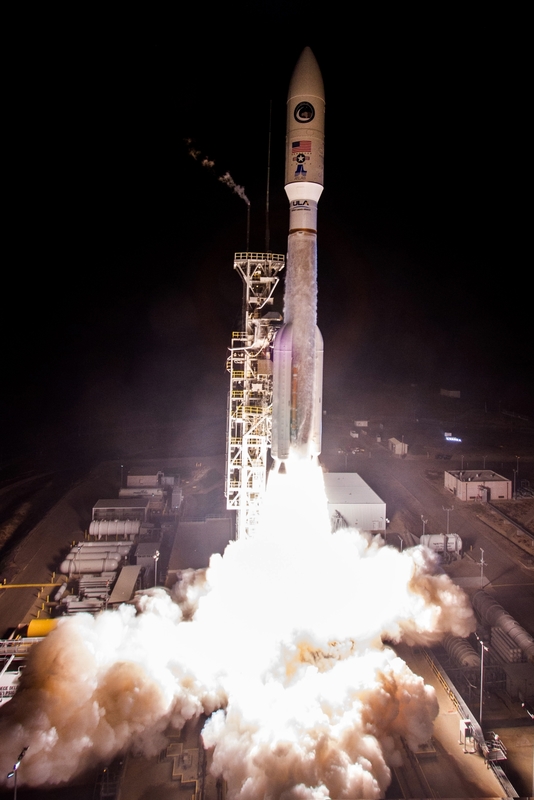 The classified payload, rumored to be a signal collecting surveillance satellite, Trumpet Follow On 2, along with the spacecraft’s secondary instrument package, a Space-Based Infrared System (SBIRS) Highly Elliptical Orbit (HEO-4), have both deployed successfully, according to a ULA statement. 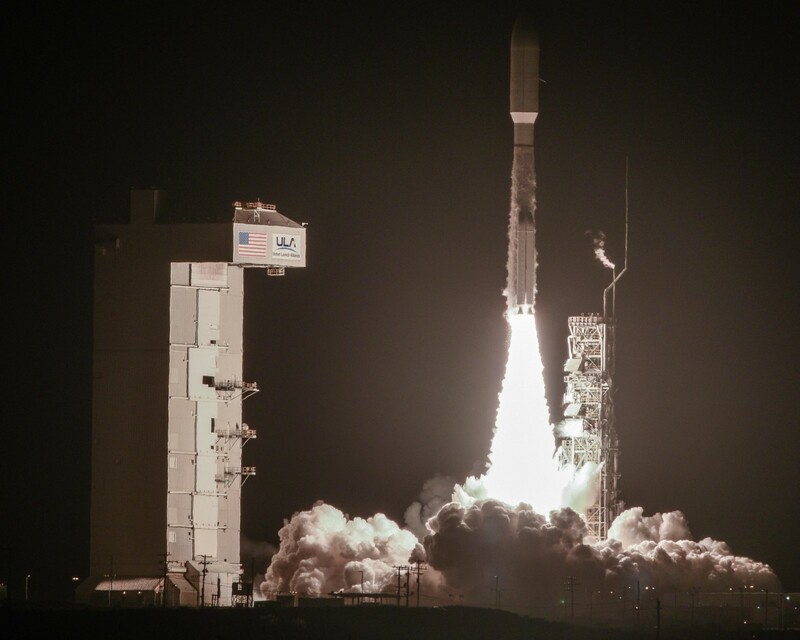 Laura Maginnis, ULA vice president of Government Satellite Launch, said: “Congratulations to the entire team for overcoming multiple challenges throughout this launch campaign. From Hurricane Irma schedule impacts to replacing to a first stage battery this week – the team maintained a clear focus on mission success. After first stage separation, ignition of the Centaur upper stage, and separation of the shroud, the launch went into a news blackout five minutes into the flight, the standard operating procedure for NRO missions. A successful launch was announced by the 30th Space Wing via a press release about two hours later. The HEO instrument is a space-based system capable of detecting missile launches that occur in northern latitudes. The 30th Space Wing at Vandenberg Air Force Base maintains the safety procedures and launch operations from the Western Range. The launch, previously scheduled for September 11, was postponed to allow launch personnel, who work Atlas V launches at Both Vandenberg and Cape Canaveral, to return home to Florida to make preparations for Hurricane Irma. 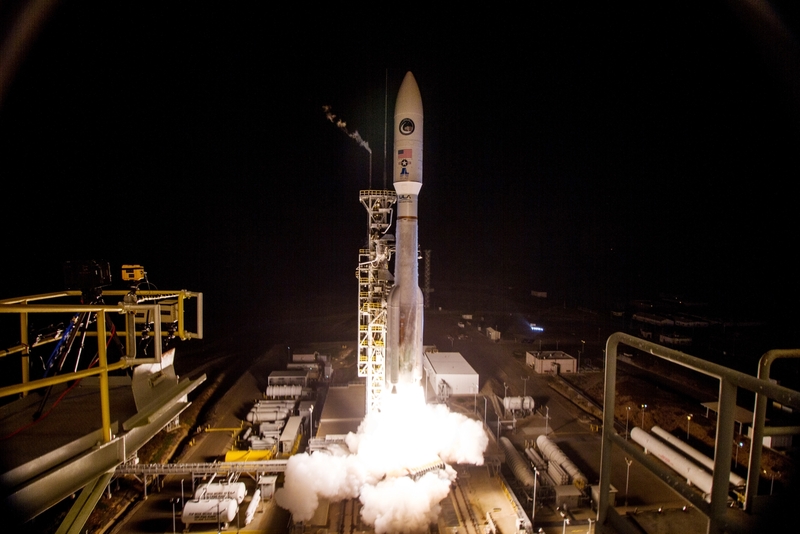 This was ULAs sixth launch of 2017, their twenty-fifth launch in support of the National Reconnaissance Office, and the seventy-third launch of the venerable Atlas V booster. I love this configuration of the Atlas. 4 SRB’s and that huge fairing are really cool. The vehicle really jumps off the pad and accelerates very quickly. Interesting stuff. Except for the invisible voice of the ‘launch narrator,’ there isn’t a -single- female person in this entire video. 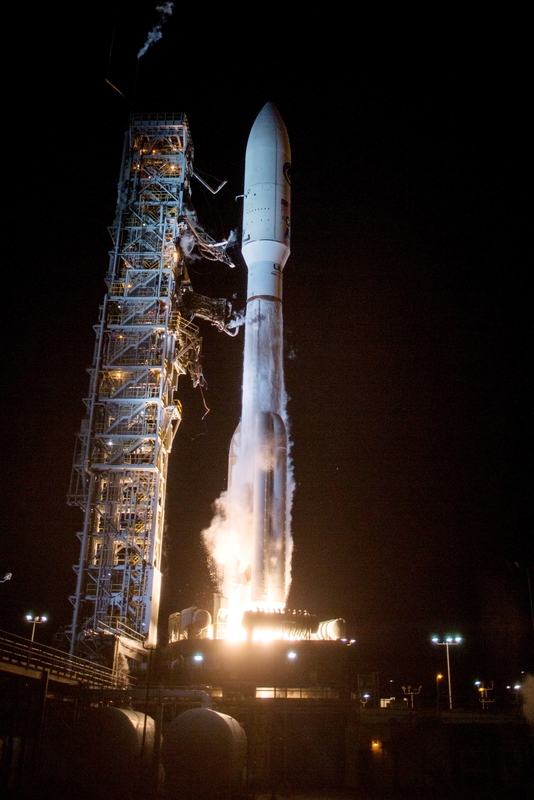 Plus, the ULA stack looks strangely more like you-know-what than usual. Think about this for a few seconds.